These days, if you want the best chance of running a successful business, then you need to be active on as many different channels as possible. Most smaller companies heading into the online world assume that they can skip the foundation steps and move straight to having a profile on their favorite social media channels. While a healthy helping of social media can definitely support the growth of your business, you also need somewhere to send the people who show interest in your site. You need a website. A website is more important than you’d think. Not only does it provide a central hub for your online marketing efforts, but it also gives you complete control over the way you show your “brand image” to your clients. Without a website you’ll struggle to make a lasting impact on your customer’s perception of you. A website can give credibility and authority to your organization online. When built correctly, your site can show your customers what you’re all about, with attractive product pages that boost conversions, and appealing blogs that nurture your leads into return customers. However, you can only tap into the full benefits of a stunning website if you know how to create one that makes the right impact. Unfortunately, there are only a handful of business owners out there that also know how to code their way to an excellent online presence. The good news is that you don’t have to learn how to code before you can start running your business online. The presence of platforms that help you design your own website ensures that anyone can start selling products online within a matter of hours. All you need to do is choose the website building tool that works for your needs. Although WordPress technically isn’t a website builder tool – it’s a Content Management System – it allows you install many website builder plugins, which make your life a lot easier when building a DIY website. To put the popularity of WordPress into perspective, consider the fact that approximately 30% of the websites in the world run on WordPress. That’s literally millions of sites! WordPress tops our list as one of the very best website building tools because of it’s popularity, scalability, and wide selection of powerful features. 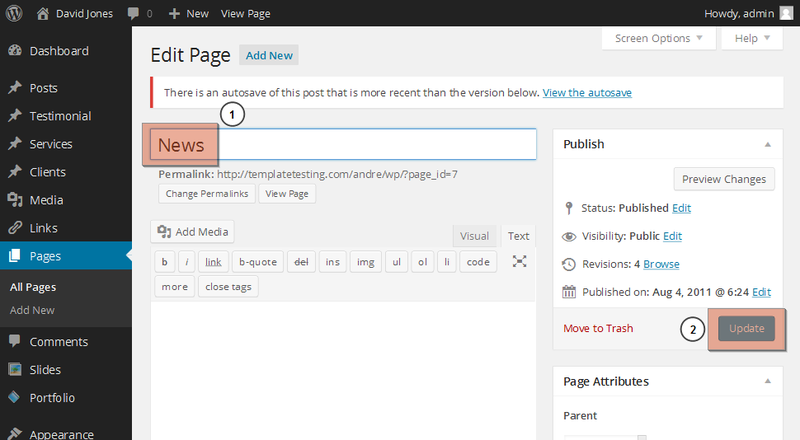 WordPress is an open-source, free website builder which gives you absolute control over your site. In fact, you get more control with WordPress than any other builder on this list. If you’re looking for a website builder that allows you to choose exactly what you want to get out of your website, and implement new features with ease, then you can’t go wrong with WordPress. There are millions of plugins available with WordPress that you can use to alter and adjust your web presence according to your needs, from checkouts, to community forums, and social sharing buttons. Additionally, from an image perspective, there are thousands of pre-made themes to tap into too, so you can create a WordPress website with basically no initial investment. WordPress is effective, easy to use, and it’s reliable too – with constant updates rolled out and automatically implemented to keep your site secure. WordPress is the number 1 choice for website building. Another incredibly popular tool for anyone looking to make the most of their online presence. Shopify is an attractive website building tool designed specifically for people who want to sell online. In other words, if you want to create an eCommerce store, then Shopify is the option for you. Like WordPress, Shopify is responsible for running countless websites across the web. It’s also a fully-hosted website building solution, which means that you don’t have to worry about remembering to keep backups, install updates, or manage your software – Shopify does everything for you. There’s also an integrated payment solution called Shopify Payments to help you earn money with your site. If that doesn’t work for you, there’s always the option to integrate third-party payment options too. 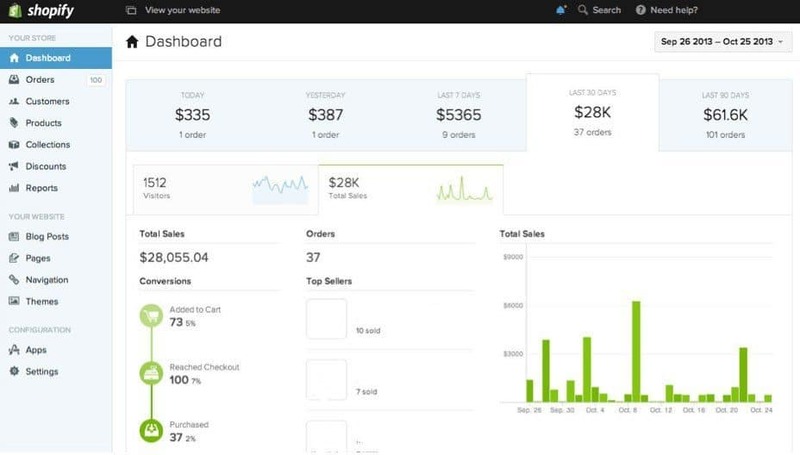 Shopify comes with everything you need to build an eCommerce website, including full inventory management tools, product tools and powerful statistics. There are hundreds of theme designs to choose from, and a drag and drop interface that’s great for designing your comprehensive online store. You can even integrate Shopify into WordPress – so you can have the best of both worlds! Another popular cloud-based website builder, Wix offers a simple set of features designed to help you build your own website. As a fully-hosted platform, Wix ensures that you don’t have to pay for your hosting, and you’ll also get a handy selection of templates to choose from for your design. Unlike WordPress, which offers thousands of plugins to choose from, Wix only offers a few dozen apps and paid apps that you can install on your site. Similarly, to WordPress plugins, Wix allows you to add new functionality to your website, and while some are offered by Wix, others are designed by third-party developers. Wix also offers a free plan like WordPress, but you’re only going to get limited storage and bandwidth this way, and there’s no domain name included, so you need to make sure that you pay for your domain name if you want to keep hold of your website. If you choose to use a free plan on Wix, then you’ll get branded ads on your website, which can detract from the user experience for your customers. Additionally, it’s quite hard to move away from Wix when you decide to upgrade. However, if you’re looking for something very basic, then Wix does have some support to offer. Weebly is another simple and straight-to-the-point website builder that comes packed with designs and themes to choose from. There’s a useful page builder that allows you to edit your website without having to learn any coding skills. Additionally, Weebly is another fully-hosted website which means that you don’t have to buy or manage any software. Similarly to Wix, Weebly only offers a few dozen website designs to choose from, although you can edit them using the on-page live editor from Weebly. There’s also built-in support available for eCommerce, though it isn’t quite as comprehensive as what you can get from Shopify. Weebly sites come with built-in features for photo galleries and contact forms, which makes it easier to add features to your site without any complex coding. Unfortunately, Weebly’s position as a hosted platform means that you’re locked into the features they offer, you can’t just add functionality with a designer or developer. Additionally, Weebly charges a 3% transaction fee for every purchase made on your online store. Yet another fully-hosted website builder packed with easy-to-use features and simple themes, Squarespace comes with an enterprise-grade solution for hosting and building a website online. This robust platform is highly secure, and it’s a good way to start your business without having to worry about managing your hosting. Squarespace comes with plenty of website theme designs to get you started, and they’re designed to suit a range of content formats. Additionally, if you want to make your website completely your own, Squarespace comes with options to edit your designs too. With Squarespace, you can even use multiple templates at once on the same website. Adding content to Squarespace is simple enough with drag and drop functionality, and there’s an eCommerce plan available which allows you to add secure online store features to your website. Unfortunately, Squarespace only offers limited third-party feature integration, and there’s only three different types of payment options available for the eCommerce plan. GoDaddy is probably one of the largest hosting and domain name providers available for people looking for the best website builders right now. With GoDaddy you can access a simple and effective website builder, complete with everything you need to host your online platform. The GoDaddy website builder is a simple tool which allows you to create a professional website quickly. Additionally, GoDaddy comes with an integrated photo library with features from Getty Photography to use on your website. One attractive feature of GoDaddy is that it comes with the ability to create websites that show up well on smaller screens too – although you can also access this responsivity with WordPress and Spotify. Unfortunately, the system isn’t quite as feature-rich or flexible as some of the other top options offered on this list. It could be good for those in search of simplicity, however. Although it’s not as well-known as some of the other web builder tools on this list, BoldGrid still has a lot to offer. It’s a newer kind of website builder for the modern business that’s actually designed to work on top of WordPress. You can either access BoldGrid as a standalone solution, or you can access it as a WordPress plugin if you’d prefer. The fact that BoldGrid is built on top of WordPress makes it highly appealing, because you get to take full advantage of the WordPress experience. Additionally, BoldGrid’s website builder service allows you to choose a design from a professional-grade gallery of themes. You can customize your designs with a drag and drop feature, and you can point and click various parts of your screen to edit the properties of each feature. Of course, because BoldGrid only runs on top of WordPress, you’re still going to need a self-hosted WordPress website if you want to use it. However, backups for your site are included through the BoldGrid service, so you can at least rest assured that your site will remain safe and protected. Finally, Webs.com is a simple but effective website builder ideal for smaller businesses and professional websites for individual entrepreneurs. The system comes with an easy to access and use builder, and a handful of pre-made designs to get you started. Like the other options on this list of website builder tools, Webs.com is fully hosted, so you don’t need to worry about backups, updates and software installations. You can simply choose the theme that appeals to you and start customizing within a matter of minutes. Like many of the most popular tools online today, Webs.com comes with a point and click interface for editing, as well as the option to drag and drop common items on your pages like photo galleries, text, maps, columns and contact forms. Paid plans also include domain names for your website, and there are enhanced plans to choose from too. Webs.com comes with a very limited set of features however, which may make it less appealing for people who are looking for an enhanced approach to web design. Additionally, you can’t extend the feature sets with a designer or developer. Ultimately, there’s no one-size-fits-all solution for the perfect website builder, but we personally think that you can’t go wrong with WordPress, Shopify, or the combination of both for the ultimate eCommerce site. When it comes to overall performance, flexibility and ease-of-use, both WordPress and Shopify beat out the other contenders hands down. WordPress isn’t just fantastic for beginners, it’s also great for anyone who wants an enterprise-level approach to making the most out of their online presence. In fact, some of the world’s biggest brands currently use WordPress for their websites. Not only do WordPress and Shopify come with plenty of great features to get you started, but they’re highly customizable too, thanks to a range of plugins and integrations. For the ultimate website, you can’t go wrong with WordPress and Shopify.